This entry was posted in Activity Sheet, Fathers Day, Holiday Crafts, Printables and tagged activity page, coloring page, dad, daddy, father, fathers day, holiday, i love you dad, love. Love is central in our relationship with God and in our relationship with others. 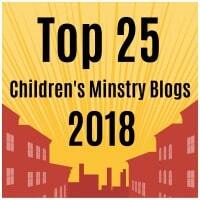 Our kids need to understand the importance of selfless and sacrificial love. Not in what the world says is love, but in true biblical love. From a black sheet of construction paper cut out small black circles. Glue the small circles onto the heart. Simple Version: Glue the heart onto body. Finally glue the leaf onto the heart. Older Version: Fold and cut the heart in half. Puncture a paper fastener/metal brad to hold the heart pieces in place. Finally glue the leaf onto one of the heart pieces. 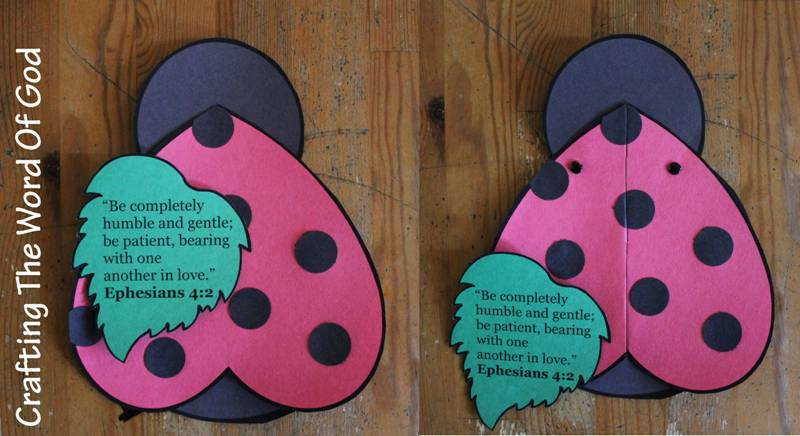 This entry was posted in Bible Crafts, Holiday Crafts, NT Crafts, Valentines Day and tagged bearing one another, biblical love, Ephesians 4:2, humility, love, love is, patience. 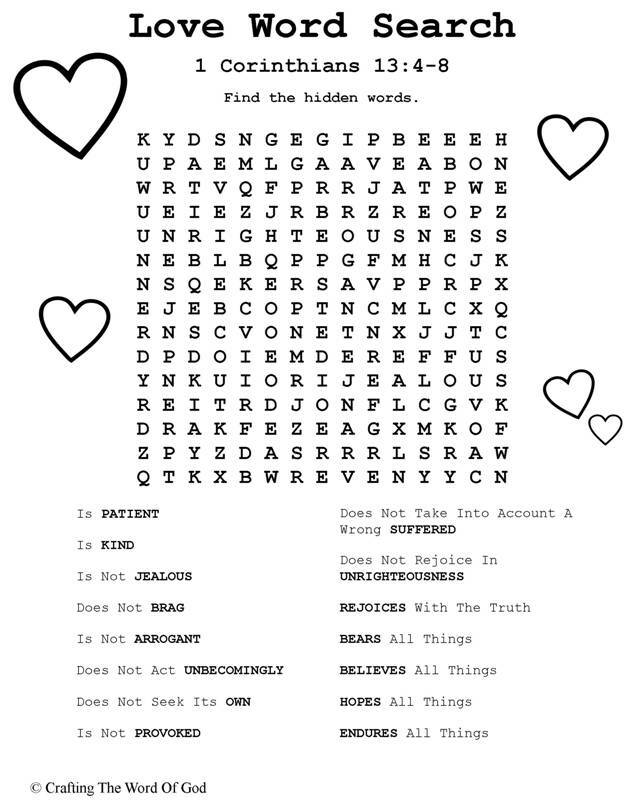 This entry was posted in Activity Sheet, Bible Crafts, Holiday Crafts, NT Crafts, Printables, Valentines Day and tagged 1 Corinthians 13, 1 Corinthians 13:4-8, activity sheet, bible crafts, craft, crafts, love, love is, print out, printable, word search. If you’re looking for a fun and easy craft to make for Valentines Day I’ve got just the thing for you. 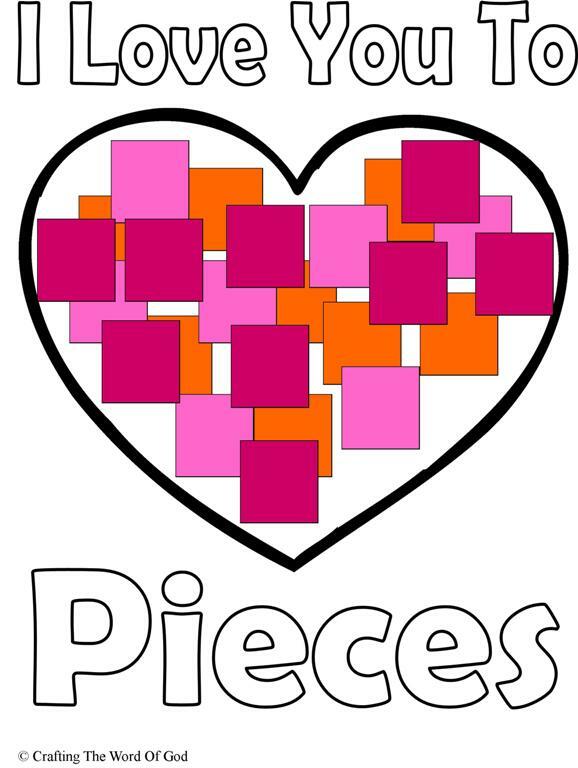 Glue pieces of red, pink and purple construction paper onto the heart. 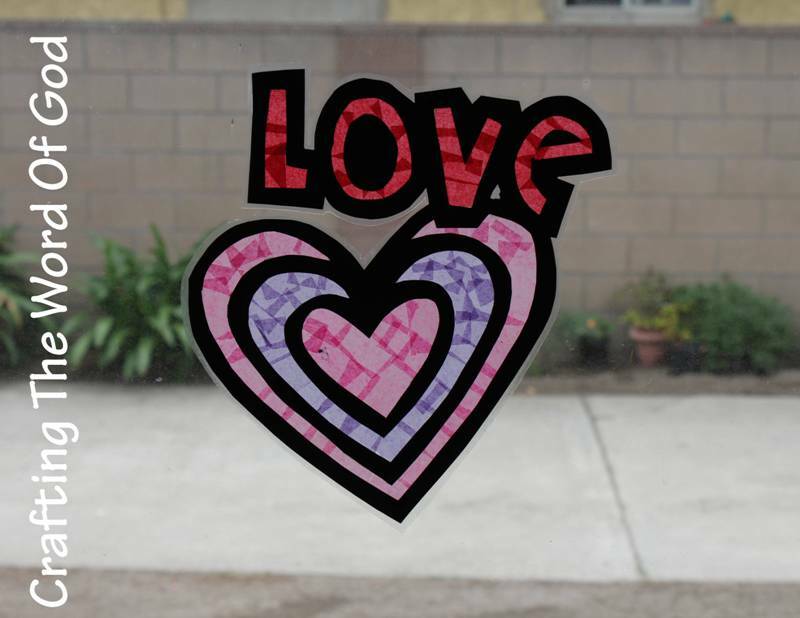 This entry was posted in Holiday Crafts, Valentines Day and tagged bible crafts, craft, crafts, holiday, i love you, i love you to pieces, love, print out, Valentine, Valentines, Valentines Day, Valentines Day card.